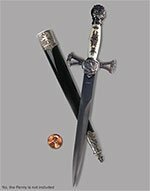 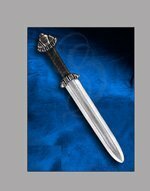 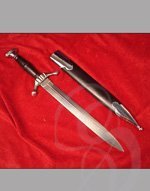 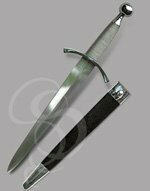 Strongblade's daggers, dirks are either historical replicas or contructed of foam for Live Action Role Play. 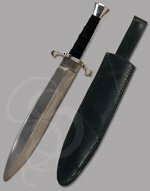 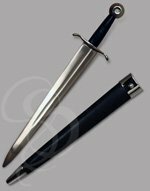 Our Quicksilver line of low cost daggers are beautiful yet very affordable. 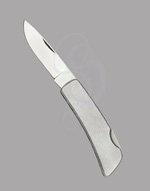 Click here to see the full Quicksilver line. 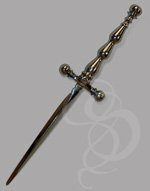 The term Stylet refers to pretty much any slim pointed dagger similar to a stiletto. 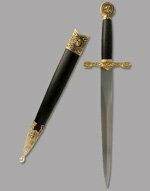 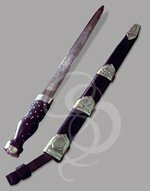 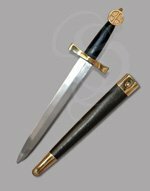 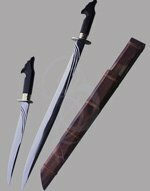 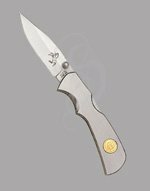 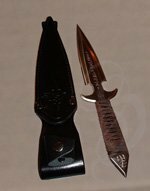 As time has gone on, the term stylet has come to identify decorative stiletto-type knives used by the nobility, while the term stiletto is used when referring to a stabbing knife favored by assasins and soldiers. 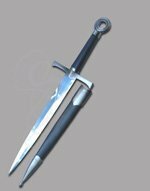 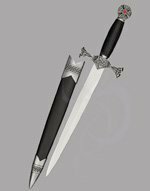 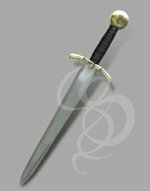 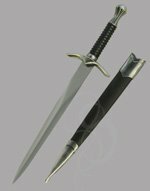 The stylet was a much more elegant dagger, capable of horrendous stab wounds, but equally impressive in its handsome appearance. 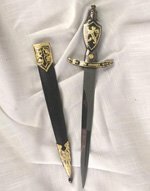 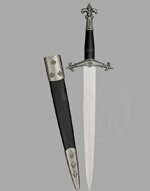 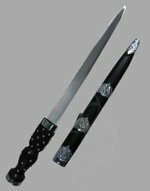 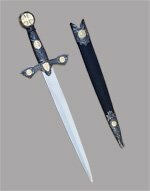 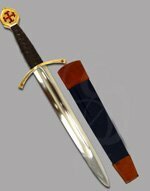 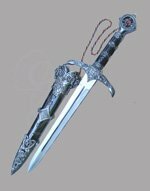 Lords and ladies alike carried these as both a useful dagger and as a sign of social standing and a hint at their wild potential -- a touch of mischief to balance the poise and grace of nobility. 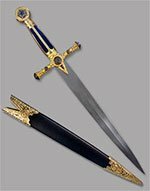 The Stiletto on the other hand was first created as a dagger to combat armored knights. 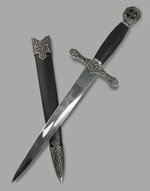 The slim, sharp blade could punch through chainmail and could find the gaps in armor. 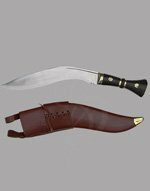 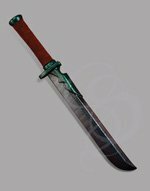 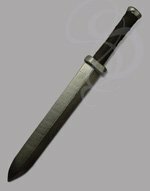 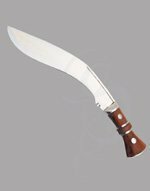 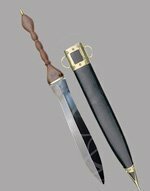 Assassins found the dagger extremely effective too; the blade was hidden easily and capable of puncturing vital organs without much effort. 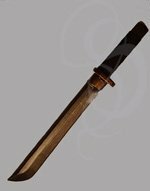 A form of the stylet was used in China and Japan, worn in the hair of geisha and noble women alike, ready to be drawn and used in one startling instant. 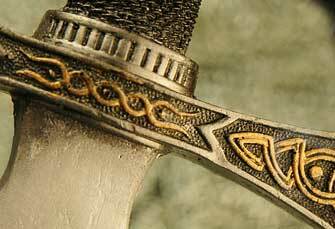 The dagger gained repute and popularity in Europe as a bodice dagger, worn in between a woman's breasts. 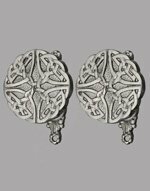 This style remained popular for centuries, and was extremely popular in the renaissance and even in the Victorian age.